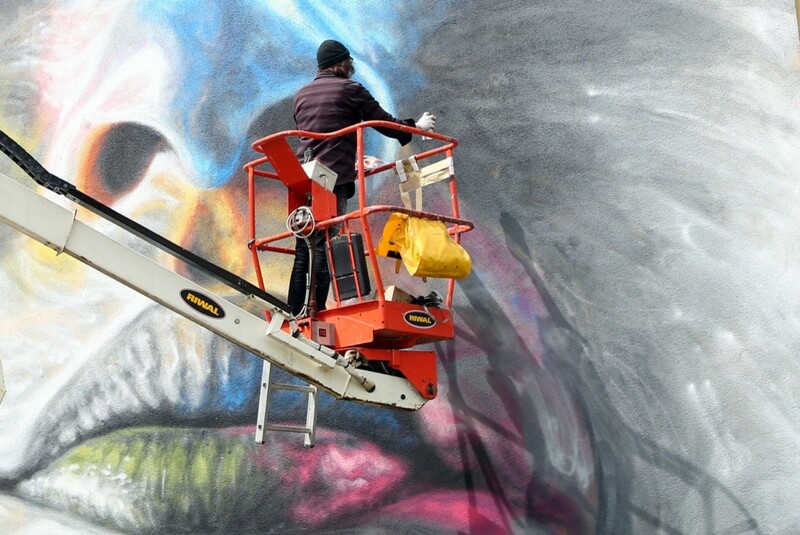 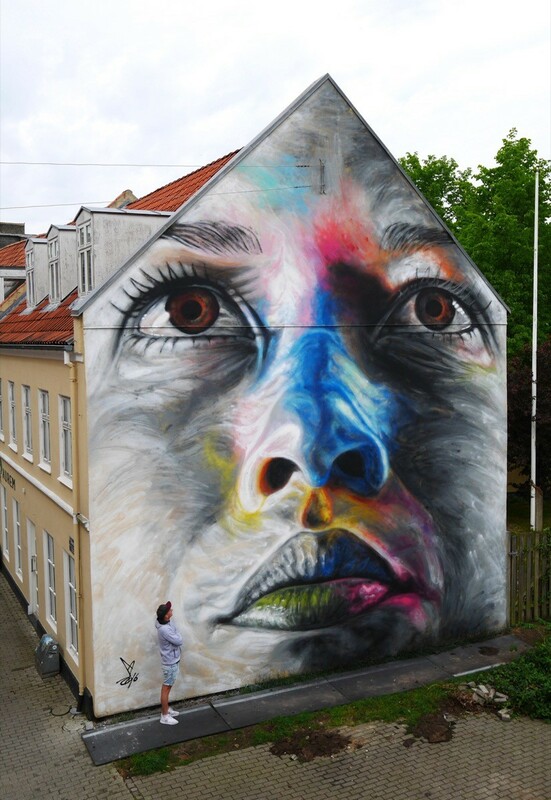 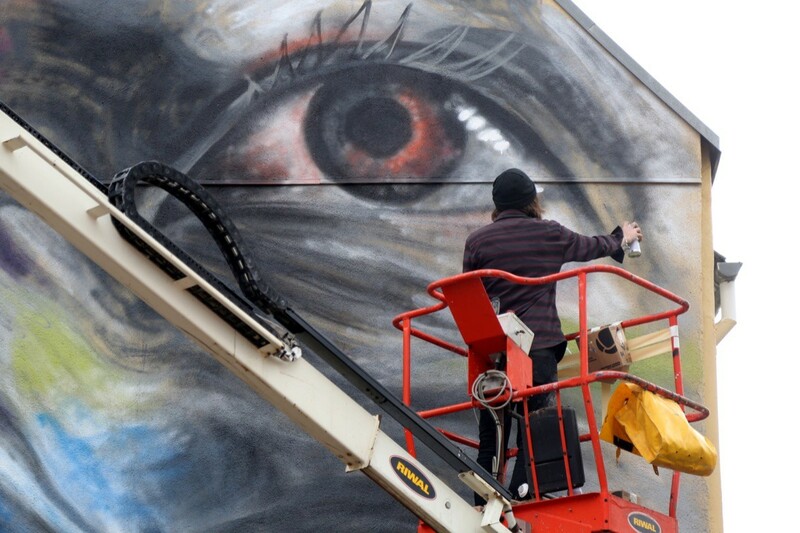 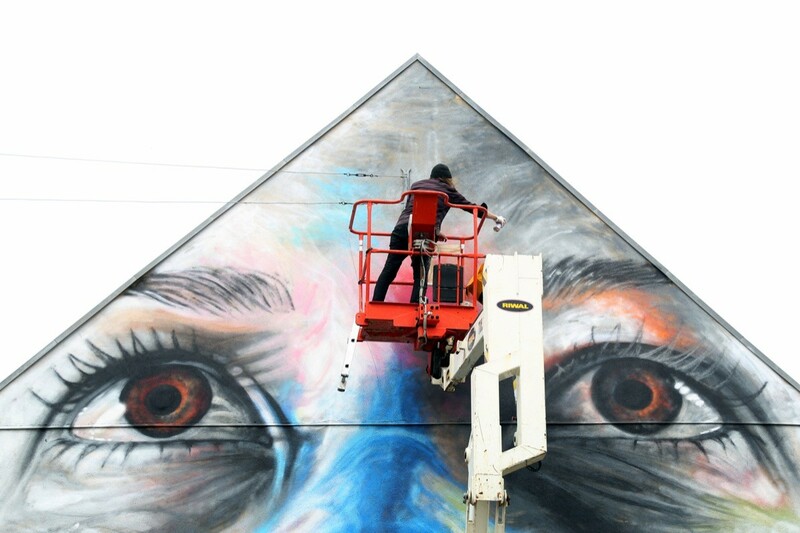 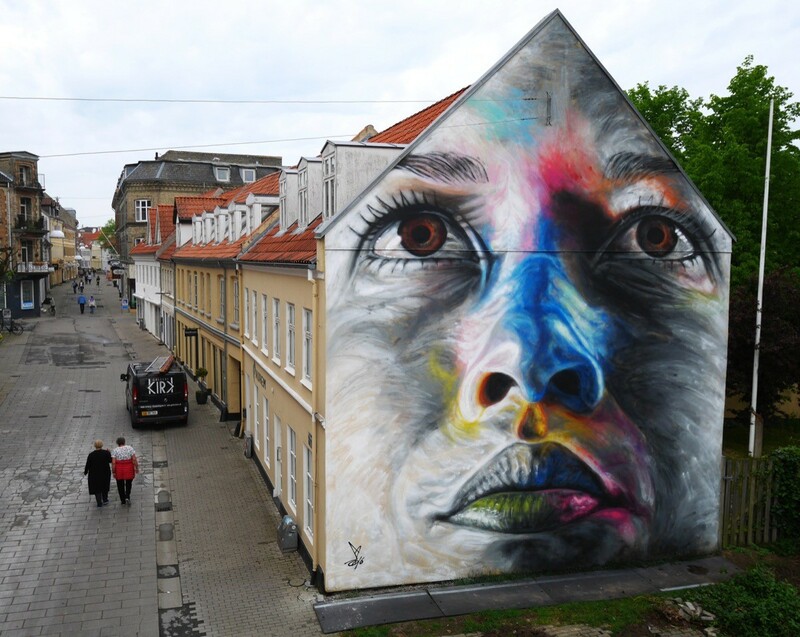 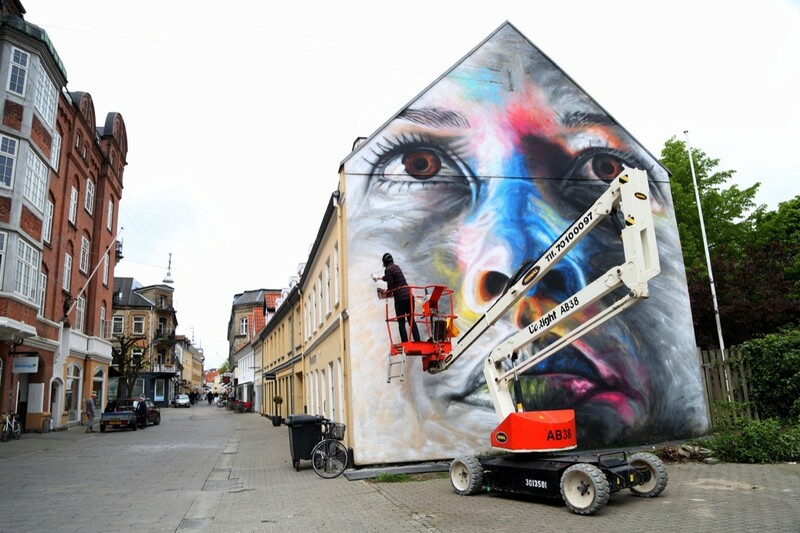 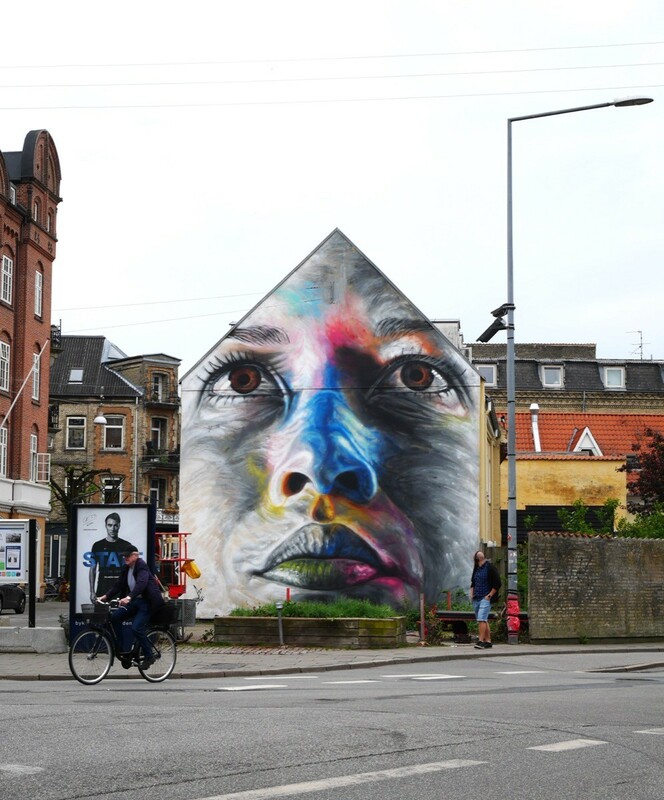 Invited by Kirk Gallery, our friend David Walker just finished a big piece in Aalborg, Denmark. 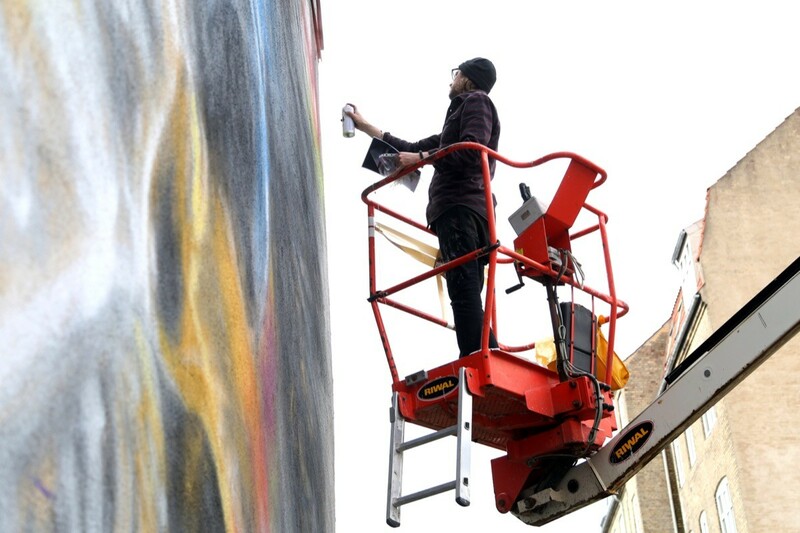 David’s artworks are created without the use of stencils or brushes and it is often blended through as colors drip or mixed. 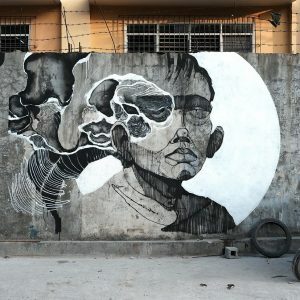 This unique style developed over a period of years is quite unique in the portraiture scene. 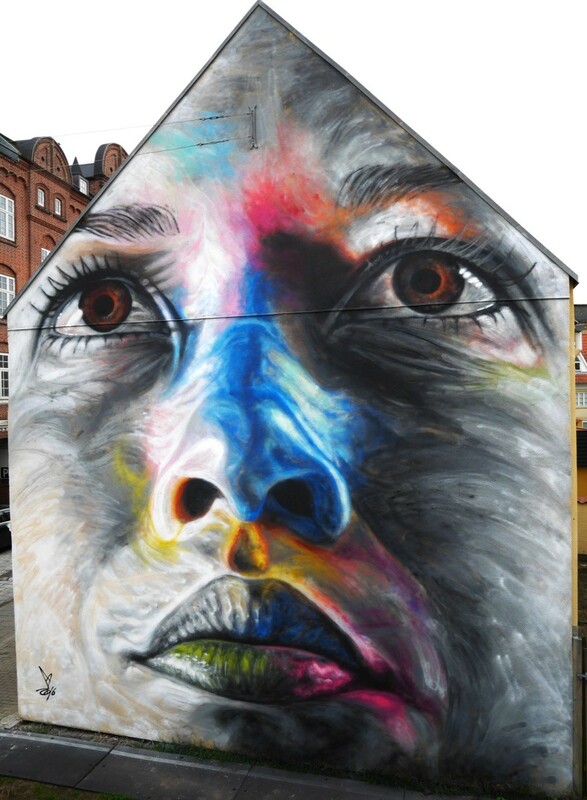 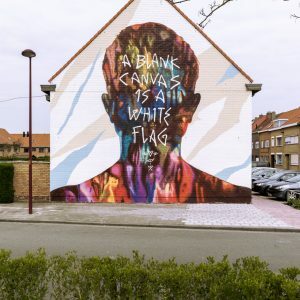 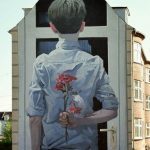 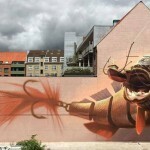 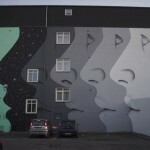 As usual with the British artist, he brought to life a color-explosive portrait which will be living on the streets of Aalborg for many years to come. 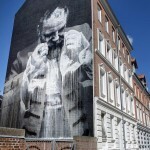 Take a look at a few extra images below and let us know your thoughts in our comments section.